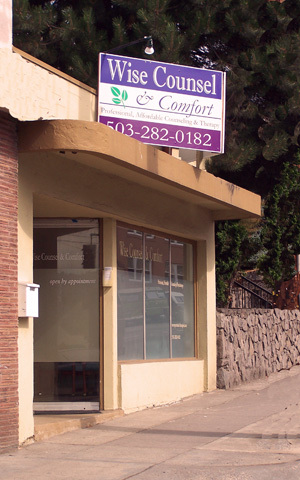 This location is at 2045 SE Hawthorne Boulevard. We are served by Tri-Met Line #14. On-street parking is generally available within a block or two .